I had friends over for brunch the other morning and, instead of frying the bacon to go with the eggs, I baked it. I don’t think I have ever had so many postive comments on something that I served. 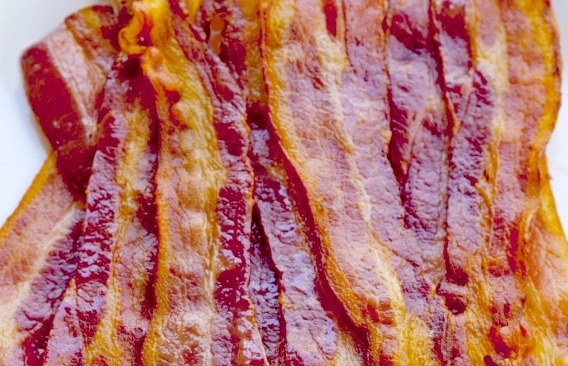 Ahhh…bacon. It seems that almost everyone just loves the taste of it. Add it to most recipes and you will be sure to have a hit on your hands. But bacon is full of fat. Just looking at a piece of it uncooked will tell you that. 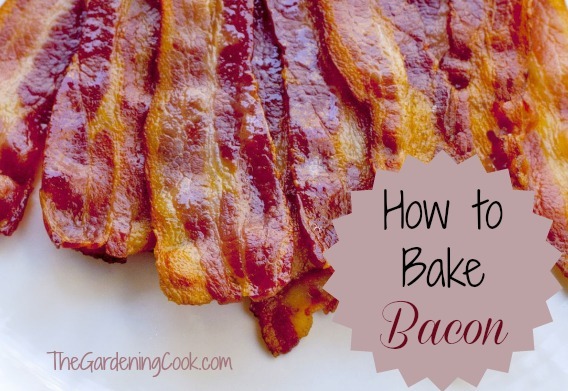 If you place it in a frying pan and cook it, all of that fat ends up in the pan with the bacon. Sure, you can drain the fat off but so much of it remains on the bacon pieces themselves. I tried microwaving bacon on a special bacon dish for years. It is successful but is a LOT of work draining the fat off and rearranging the bacon. Preheat the oven to 400ºF. 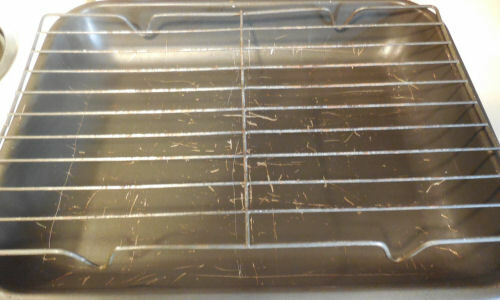 Place a rack in a 9 x 13 inch oven proof pan. I use a pan that I normally back casseroles or a big batch of brownies in because it fits my rack nicely. Lay out the bacon on the rack, trying not to overlap the bacon too much. 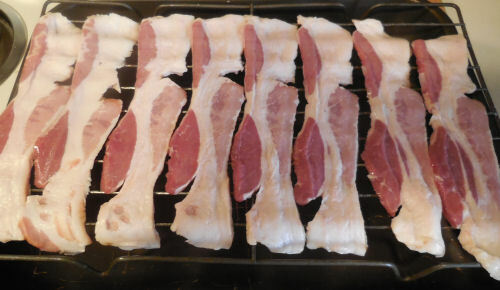 Any type of bacon will do, but I normally choose fairly thick cut slices. Place the casserole dish into the preheated oven and bake it for about 15 minutes depending on how crispy you like your bacon. Check it about 12 minutes into the cooking time. All of the fat will drip into the casserole dish. 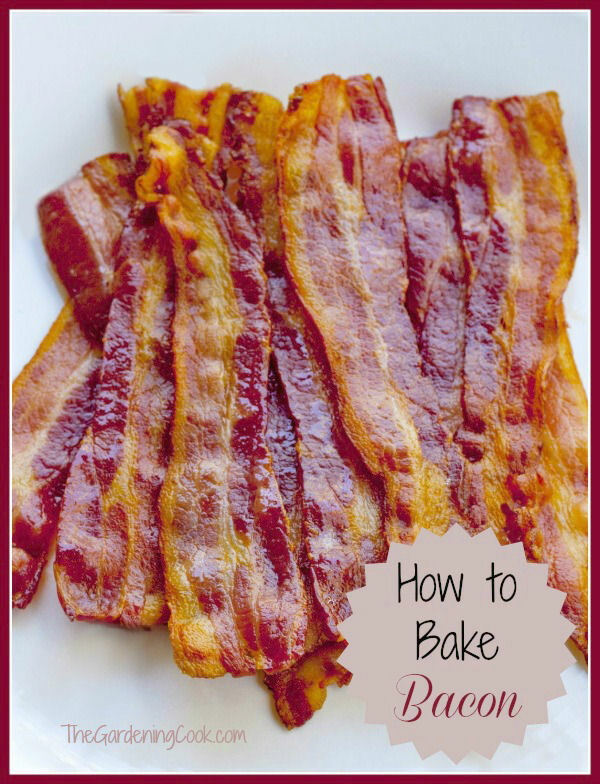 You will not even need to place the bacon on paper towels when you are done! I just laid a single paper towel over the top to catch some of the grease that was sitting in the hollows but there was not even much of that. And did I say how crispy and great it tastes? Serve it with eggs or crumbled the bacon to use in salads and other dishes. It’s also super good in sandwiches. I recently made an avocado BLT where I used it and it was also a huge success. It is simple to do and so, so much better for you. That is all there is to it. What could be easier?